After a nice long hibernation from the world, blogging and life, I am renewed and determined to post more regularly. 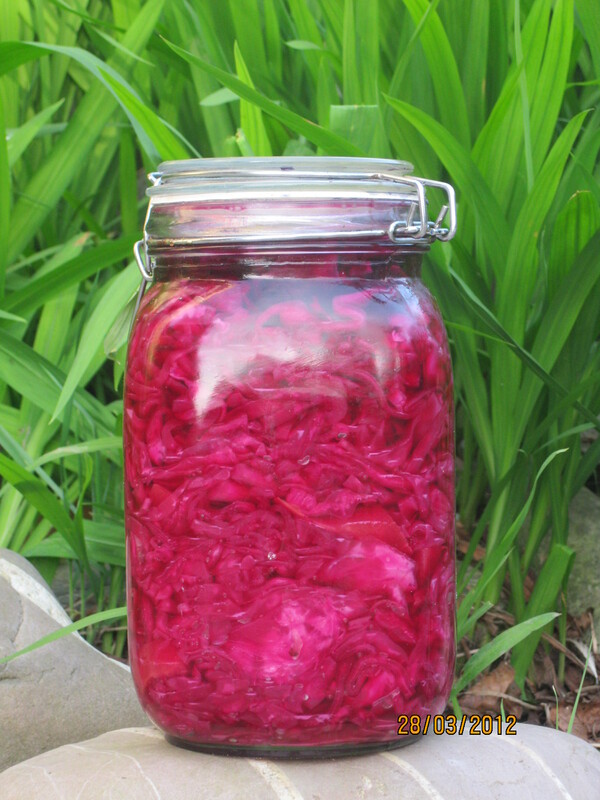 So…today I will be sharing my latest craze – home fermentation. Along the sideboard in the kitchen are various pots bubbling away. One small ceramic pot covered with a green J-cloth and a jaunty silver ribbon is the sourdough starter. Another larger food grade plastic bucket topped with a muslin cloth houses the kombucha. There are others; red cabbage sauerkraut, a turnip based Kim chee, and ginger carrots. My kids call the kombucha mushroom pee and my eldest birth son pretends that sourdough sponge is his barf. I let them play, because they eat and drink these products. Somehow their contorted faces as they yell ‘ ewwwwwwww gross’ are very happy, and are part of some far off remembered tribal dance that celebrates alive food. These foods are powerful. They smell. They ooze. They taste pungent and inescapable. My baby girls face as she sucked on a strand of purple cabbage transformed by lacto fermentation was a Shakespeare play or a Hindi drama. These foods are complex. As I messily transferred the latest batch of caraway, carrot and cabbage, the deep violet juice overran the kilner jar. My fingertips and the table now share an indigo tint. From the waiting and stewing and fermenting a new jar of sour glory has been born. I wish that we all burst forth on this spring transformed by the fermentation of winter. I am a happy witch. This entry was posted in Biodynamic, Family, Gardening, Parenting, Recipes, West Cork and tagged cabbage, carrots, children, dinner, Family, food, kim chee, lacto fermentation, sauerkraut, sourdough, witch. Bookmark the permalink. That red cabbage kraut looks perfect! Glad that the fermentation is a success! The wiyos need to come to cork! Absolutely the Wiyos should come to Cork! For the next three years we have a large enough space to put you and the double bass up, could squeeze the band in too. Fermenting is fun!!!!! !